To change the default operating pc system boot to Windows 10, please use the Hot-Key Windows-Logo + R and enter the command control system! 1.) ... Open the Startup Settings in Windows 10! 2.) ... Set Windows 10 as default operating system when Boot your PC! 1.) Open the Startup Settings in Windows 10! Hot Key Windows-Logo+R and Command control system! In Control Panel\All Control Panel Items\System please click the text Advanced system settings . (Image-1) Windows-10 to the Default Boot Entry! 2.) Set Windows 10 as default operating system when Boot your PC! 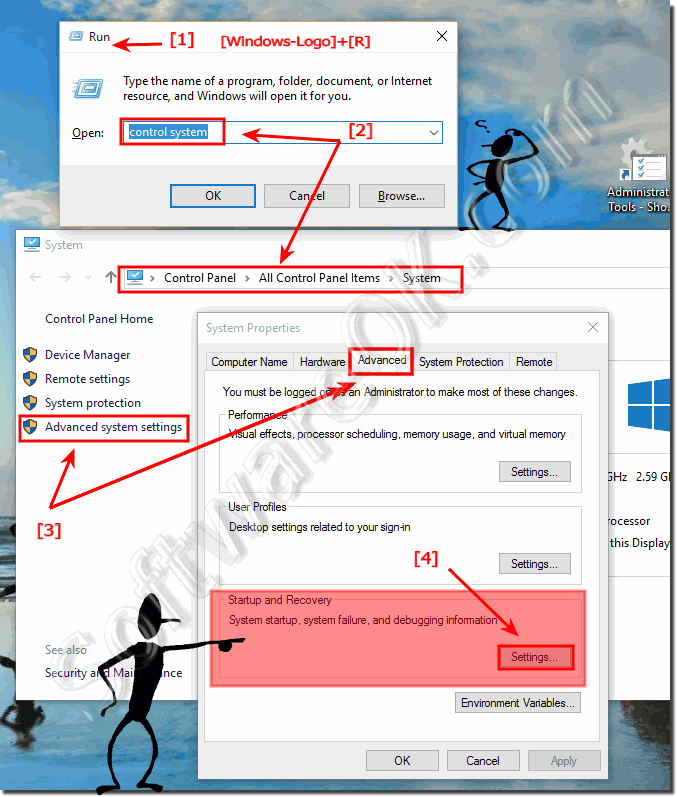 (Image-2) Set Windows 10 as default operating system! Under System startup, choose a default operating system in this example Windows 10 and the amount of time to display the list of operating systems, in this example 3 seconds! Windows-10 - FAQ-147: Set Windows 10 to the Default Boot Entry (operating system)? What is on the computer a multiboot configuration? 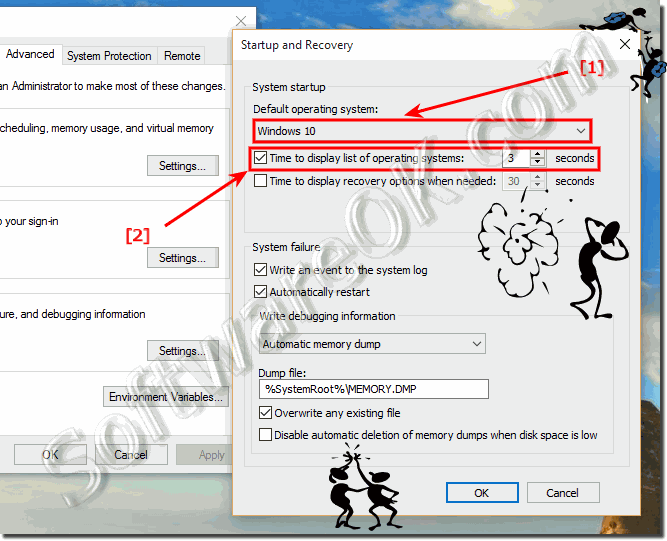 Change which Windows operating system opens by default at Windows 10? How to changing the Friendly name of a Boot Entry in Windows 10? How to Changing the Default Boot Entry in Windows 10? What happened to the boot.ini file in Windows 10? Change in Windows 10 how long to display the list of operating systems? How to changing the boot options in Windows-10? Is there in Windows 10 a boot manager? Where are the settings for operating system run by default, when Personal Computer boot? Where is the settings for default OS in Windows 10? Mac win10 default boot os setting? How to set default operating system on windows 10? Windows 10 set default windows boot? Windows 10 vanished as default os? Windows 10 changing operating system start up? Windows 10 change boot default? How to configure boot entries on win 10? Change boot settings windows 10? Set windows 10 as default os? How to change default operating system windows 10? Set default OS| in windows 10? How to vhange boot entries on win 10? Set boot default windows 10? Default windows system boot manager?